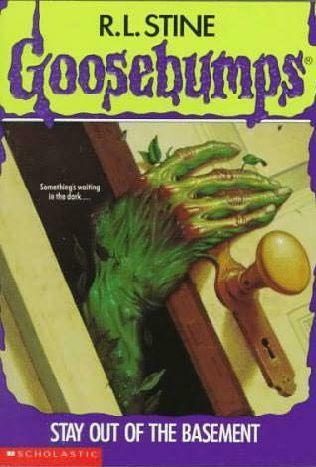 It is time for some more Goosebumps! Sorry for the delay in the chronological read through. Stay Out of the Basement used to scare me as a kid. I was thoroughly creeped out by the dad. I never wanted to go into my basement after reading this. To be honest, I still don’t. Dr. Brewer is doing plant research in the basement of his home. Margaret and Casey, his children, start worrying about their dad. Dr. Brewer spends the majority of his time in the basement, so naturally, Margaret and Casey want to check things out. They want to know why their dad is acting strange and neglecting his parental duties. Dr. Brewer starts growing leaves out of his head and eating plant food. The kids go down into the basement and find all sorts of plants. They also find more than they bargained for. All will be answered in the end. Always remember one thing. R.L. Stine loves a good twist ending. I enjoyed this book about as much as I did when I was a kid. I thought the writing was great. The storyline was smooth, but a little predictable. The kids questioned themselves almost too much, though. In the end, it was a solid read.